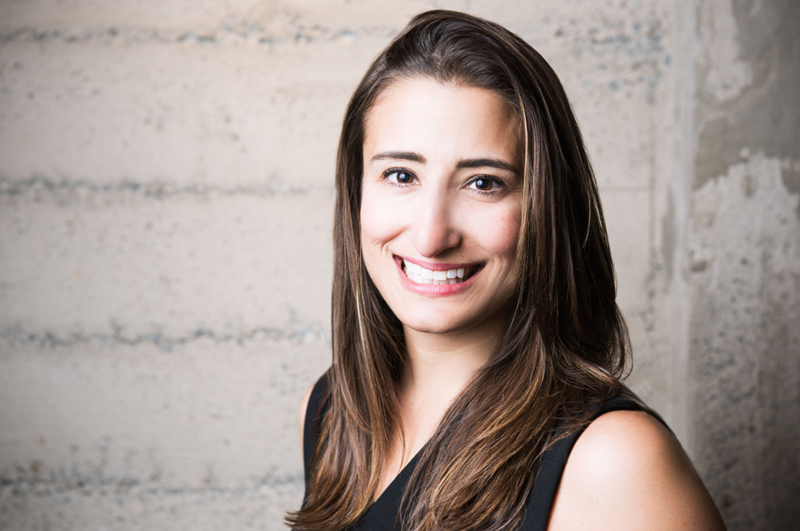 Hayley Barna has been making waves in the tech world since the beginning of her career. In 2010, she launched subscription beauty delivery service Birchbox, which is one of a small number of VC-backed companies founded solely by females. More recently, Barna joined First Round Capital as an investor, becoming the venture capital firm's first female partner. We spoke with Barna about her experience as a woman on both sides of the VC investment chain, studying at Harvard Business School at the same time as the founders of Rent the Runway and Stitch Fix, funding for females and more. Let's start from the beginning. How did you get the idea for Birchbox? "My co-founder Katia [Beauchamp] and I were second-year students at Harvard Business School when we had the idea. Really, it was inspired by our needs as consumers and our love of the internet. We loved buying things online—media, music, books, shoes, clothes—but we didn't feel there was a great place to buy beauty products. That was partly because you want to feel and touch things before you buy them. …. I grew up as sort of a tomboy. I didn't know how to do makeup or hair and I really wanted to feel confident. Katia knew her way around the makeup counter, but wanted a better way to understand the products. We realized we could solve these pain points and create a business model that made it fun and effective by creating this try, learn, buy experience. … We came up with the subscription because we felt it was the best way. I think we repackaged the idea of subscription for product discovery and online shopping." Rent the Runway and Stitch Fix, two other ecommerce delivery companies, launched out of HBS around the same time as Birchbox. Did you have any interaction with the founders? "Rent the Runway launched the year before Birchbox. Jenn [Hyman] and Jenny [Fleiss] were definitely role models. … We thought, here are these two women just a year ahead of us and they're coming up with a new idea. … And actually, I was just thinking back to when we met Katrina [Lake]. She was just getting started. I remember hearing about the vision for Stitch Fix, which ended up launching the year after we did. … And now there's the image of Katrina holding her baby while on stage for her IPO. That's just one of my favorite images of the year." Did you run into any hurdles as a woman searching for venture capital funding? "We ran into some hurdles because most of the people we were pitching were men and they weren't the target customer. They weren't familiar with buying makeup or finding the right hair product. They'd ask their assistants or call their wives. It was a lengthy process. It took us awhile. I think we started talking to investors in May and received term sheets in August. …. Basically, they'd say, 'That sounds great; when are you launching?' and we'd say, 'When you give us money, we'll launch.' We were running around in circles, so we decided to put our heads down and work toward the launch. Then we raised a friends and family round. And that's when we started talking to investors. From then on, it was very different in terms of the conversation. It was very clear we were going forward with or without their investment." After leaving Birchbox [in 2015], you must have had a lot of different opportunities come your way. Why did you decide to become a venture capital investor? "I wanted to take some time to think about what to do next. There were two possible paths: being a founder and finding something new, or investing. I started angel investing and advising early-stage startups, which I thought would help me come up with new ideas or meet a co-founder. But then I found that I loved the time I was spending with the founders. My experience, having been a founder myself, was helpful. I got a lot of energy from those conversations. It was pretty clear I was being pulled in that direction, and then after about six months I took a role at First Round." Why did you choose First Round? "I'd known them for many years and I really believe in how First Round invests. Of course, I'd been a user of their product. And there were a few other things that really excited me. The ability to focus on the New York tech ecosystem, for one. First Round has had a presence in New York for many years, and not all funds do. … Investing at the seed stage is a critical time in a company's lifecycle. Hiring the first few employees, figuring out how to launch, I just felt that was my experience." You're a woman who's a founder and now you're a VC investor. Have you seen progress toward more funding for female founders? "I've been immersed in the tech world since 2009/2010. I have definitely seen progress over that timeframe. I do believe progress will continue over the next decade. There may be some ups and downs along the way, but I certainly hope that everything is going in the right direction. It does feel different now. In the early days at Birchbox, my co-founder and I would always be the only women in the room, even if there were hundreds of people. But now there are more female founders, more women investors, more women working at tech companies." Our data shows that a very small percentage of all venture capital goes to companies founded solely by females. How can we increase that number? "I don't think there's any one answer. I do know from my experience that female investors are probably more likely to invest in female founders. At Birchbox, we were lucky to have two fantastic female investors with us from the very beginning. We're an example of a data point. "And this is a less direct idea, but I do think the tech community overall should be encouraging women to become founders. I think that a lot of men are asked, 'When are you starting your company?' If men work in tech, it's almost expected they'll become a founder, and women don't have the same encouragement." Find out more about First Round Capital in our investor spotlight on the firm.